Judge Brett Kavanaugh is the embodiment of the Republican legal establishment: an Ivy Leaguer who worked for the justice he has been nominated to replace, investigated a Democratic president, served in a Republican White House and now is an influential member of what is often called the second most powerful court in the country. 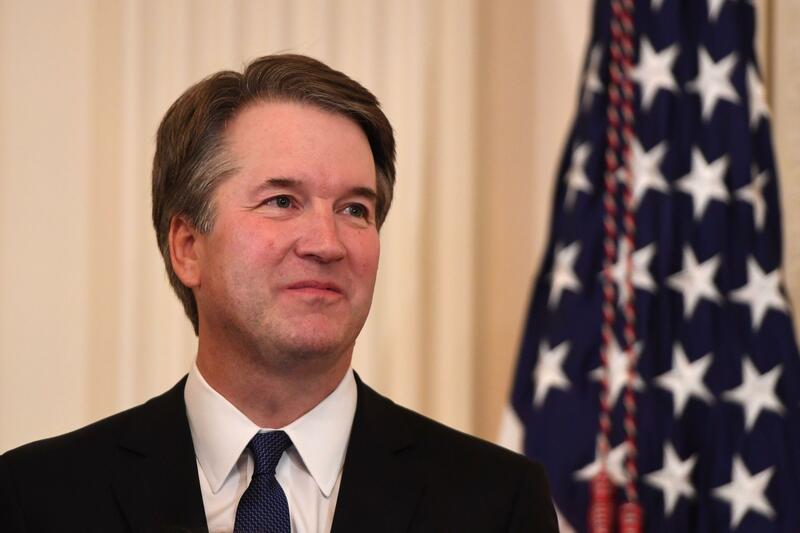 "He can still recite the section and seat numbers of the upper deck seats his dad had at RFK (Stadium) for the Redskins," said Travis Lenkner, a former Kavanaugh law clerk, of the Washington Redksins' home field until 1997. The nominee is an only child who credits his mother for his career path. Martha Kavanaugh taught high school history before returning to school for her law degree. She later became a prosecutor and a judge in Maryland. "My introduction to the law came at our dinner table when she practiced her closing arguments," Kavanaugh said at the White House after Trump introduced him as his nominee. He is the father of two girls and coaches their basketball teams. Like Kavanaugh, his wife, Ashley, is a veteran of the White House during George W. Bush's presidency. Their first date was the night before the Sept. 11 attacks, he said. She now serves as the town manager of their village in a Maryland suburb just north of the capital. Kavanaugh's professional life has been a succession of jobs that have raised his profile in legal circles. After earning undergraduate and law degrees at Yale, he was a Kennedy law clerk in the early 1990s before joining independent counsel Kenneth Starr's team, where Kavanaugh co-wrote the report that served as the basis for President Bill Clinton's impeachment. Kavanaugh worked on the effort by Bush's campaign to halt the recount of votes in Florida in the disputed presidential election between Bush and Al Gore in 2000. He worked in Bush's White House for five years, including nearly three as Bush's staff secretary. "My most vivid memory of Brett was his thoughtful approach to an issue, not impulsive, not off the cuff. He had a very engaging ability to discuss both sides of an issue when we had to resolve something," said Mark Tuohey, who hired Kavanaugh in Starr's office. His former clerks recall Kavanaugh as a demanding boss, but one interested in their personal lives. Jennifer Mascott, a law professor at the Antonin Scalia Law School in Virginia, said she naturally reached out to Kavanaugh after her father died. "He made a point at the start of my clerkship to invite my parents down for a visit and that made such an impression on my dad," Mascott said. It can seem as if Kavanaugh has been getting ready for this moment for some time. He regularly teaches law school classes. "One thing he asked the class was if you had an interview with a person and were considering them for a Supreme Court nomination, what questions would you ask?" recalled Kirby Thomas West, a 2015 Harvard Law School graduate.